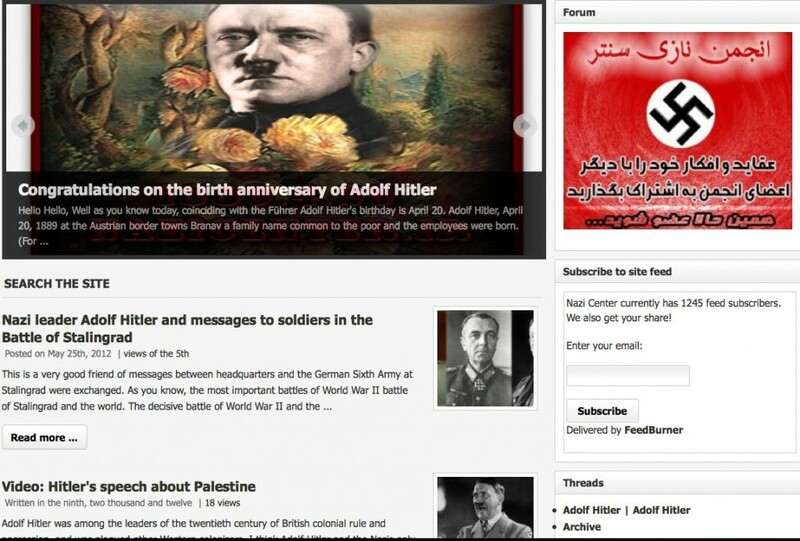 GOVERNMENT OF IRAN’S PRO-HITLER WEBSITE…….. – The Tundra Tabloids……. 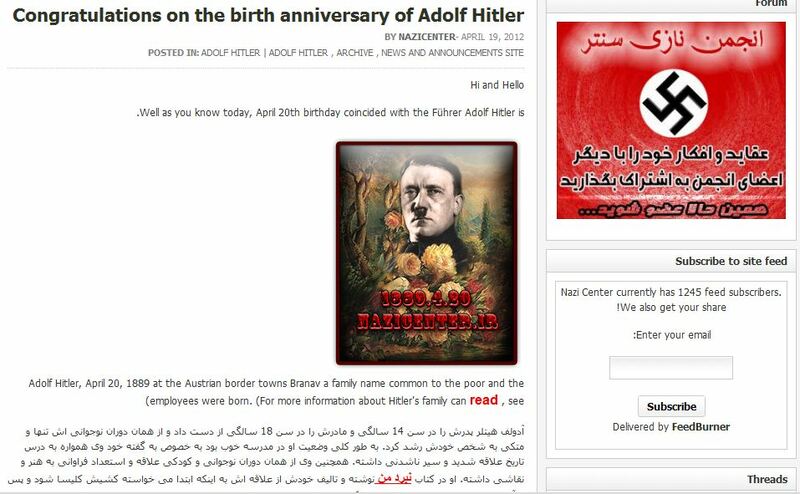 An Iranian contact of Vlad’s emailed him (the email originated within the IRI) with the following information about an Iranian government sponsored and/or approved website dedicated to German National Socialism. Any of the TT’s readers who understands Farsi, please feel free to plunge into the website to look for other interesting, revealing pages and let both Vlad and I know about it. Here is more on the birthday greetings on the website. how consumers have been denied. And a good source of Persian language and strong and there is specialized in the history of World War! On this important issue (which were mentioned above) in our country has no independent source of expertise. So we decided that this huge gap in the limit we can fill. Another reason to choose us, our personal favorite. Personally interested and enthusiastic about his childhood and the history of World War II, Germany had the Nazis, this is the case among all my friends and members of this site is true. site and forums and the Nazi Third Reich officially on summer 90. The site works perfectly under the rules and norms of the Islamic Republic of Iran and the relevance of this site is the history of World War II and the Third Reich. Political debate is not relevant on this site! Next Post Next Post PHYLLIS CHESLER: ARREST MOTHER FOR MURDER OF TWO DAUGHTERS IN TEXAS HONOR KILLINGS……. Are the Left really that stupid, or are they, as we’ve long suspected, Nazis themselves? islam = nazism = communism = the filthiest, evilest and most aberrant things ever created by human mind. islam is a bestial way of life. it is extremely repulsive and vicious.